YouTuber Joey Salads held a social experiment recently. 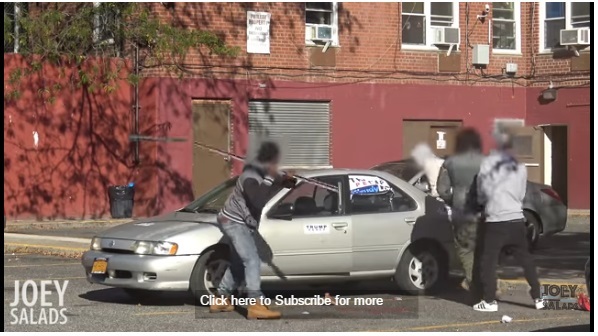 He parked a car with Trump stickers in a “black neighborhood” to see what happens. It took 30 minutes before the Democrats started looting the car and beating out the windows.